Recently cooks have been learning how to make a chicken chili recipe at a fast rate of growth. Using chicken in these recipes has become so popular in recent years and is an example of the limitless possibles. Chicken is one of the wide varieties of ingredients that can be used in this delicious spicy dish. Many people love chili but only will eat chicken; these recipes serve them well. Even for us who like beef will also enjoy the chicken flavoring these hearty soups and stews whether it be chicken in chunks or ground chicken. The key is to what other ingredients and seasonings you choose to add. If you are learning how to make a chicken chili recipe there are different opinions as to what makes a good recipe. Some people like the meat ground up and others like it in chunks; some like to also add chicken broth to their recipes. As with beef chili there is a wide discussion as to whether you should add beans (and what kind of beans) to the recipe or should the recipe be thick as a stew or a little thinner as a hearty soup. This is what makes your options having such a wide range in choosing. Of course the biggest decision everyone needs to make is how spicy should it be. There are many who think chili is not chili unless it is hot as fire. I can’t take it that hot but I do love it to be spicy. “Chili heads”, those who live for a spicy bowl of chili fight to keep their special recipes a secret. 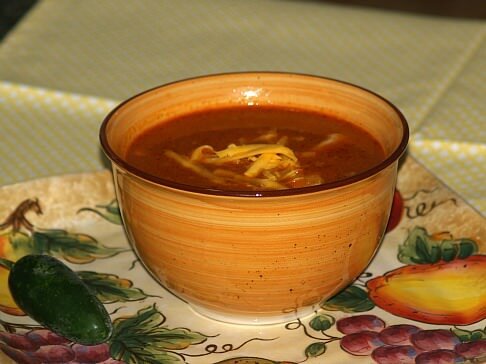 This spicy chicken soup recipe can be made even spicier by adding jalapeno peppers. You can replace the chicken breast with a mixture of white chicken meat and dark if you prefer. Oil or spray with non-stick sprays a large heavy skillet. Brown the chicken cubes on all sides. Add the tomatoes, beans, garlic and chili powder. Cook uncovered until chicken is thoroughly done. Salt and pepper to taste. Sprinkle each serving with shredded cheese. In a heavy kettle over medium heat, add oil and chicken. Add onions, green bell peppers, garlic, cumin, oregano, thyme and chili powder. Cook until chicken is no longer pink. Add the tomatoes, and tomato paste. Salt and pepper to taste. Reduce to low heat and simmer for 1 hour uncovered, stirring occasionally. . Spoon into bowls and serve with yogurt and minced parsley. Learn how to make a chicken chili recipe known as white chili which has been a real hit. Cover beans with water and soak overnight; drain and set aside. In a large pot sauté onion in olive oil until tender; stir in garlic, chilies, cumin, oregano, cloves and ground red pepper. Add beans, broth and beer; bring to a boil, reduce heat, cover and simmer until beans are very tender stirring occasionally. Add chicken and one cup of grated cheese; stir until cheese melts. Serve with remaining cheese, sour cream and salsa. This chicken chili recipe is conveniently made in a Crockpot; put everything in the pot and let it cook while you do other chores. Brown chicken and beef in skillet; add onion flakes, salt and pepper and put in crock pot. Combine all ingredients with the meat mixture in crock pot except spaghetti; stir to blend. Cook on high 3 ½ to 4 hours; add dry spaghetti and cook on low 1 more hour. This is a Cajun chicken recipe for chili served over rice. Combine tomatoes, garlic, green peppers, onions, chilies, Worcestershire sauce, soy sauce, black pepper, basil, marjoram, oregano and chili powder in a large pot. Bring to a boil, reduce heat, cover and simmer 15 minutes; add chicken and return to a boil. Reduce heat and simmer until chicken is tender about 30 minutes; serve over hot rice.